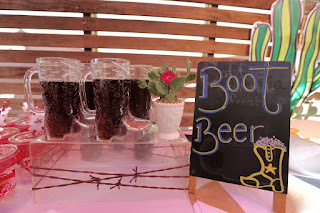 Anytime I can find a way to incorporate my golden horned bull skull into a COOP party -- I am excited!!! 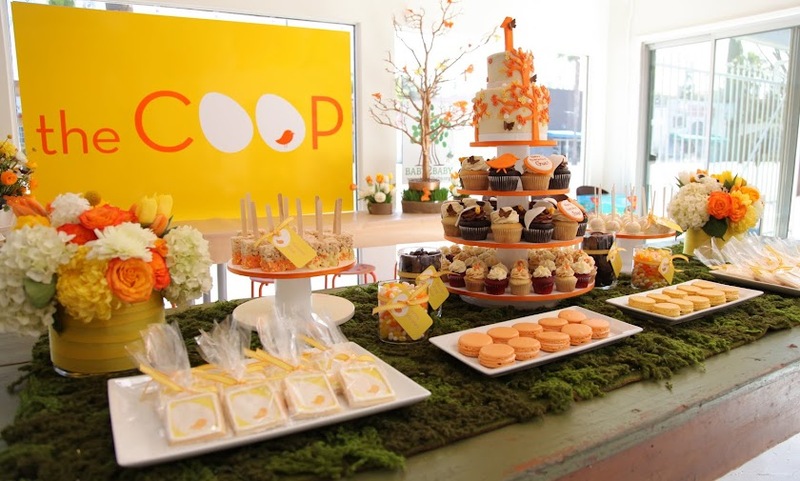 This party we designed and created for one of our favorite COOP clients. She actually had the very FIRST party at the COOP - before we even officially opened 7 years ago an has kept partying with us every year since! We love our sweet Gracie girl! This year Grace wanted a wild Rodeo party (mostly because she wanted a mechanical bull for everyone to ride... which we happily obliged! SOOOOO Fun!!) WE started thinking we would go the traditional bandana and hay bale route -- but the COOP chicks don't like to do anything the traditional way!! 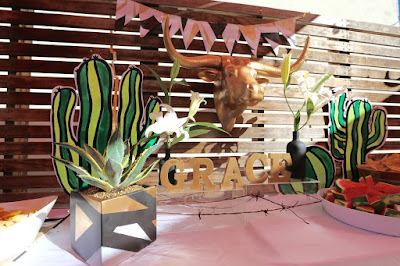 WE asked Grace if we could do our spin on it and make it a MODREN Rodeo -- and she agreed! We LOVE how it turned out! 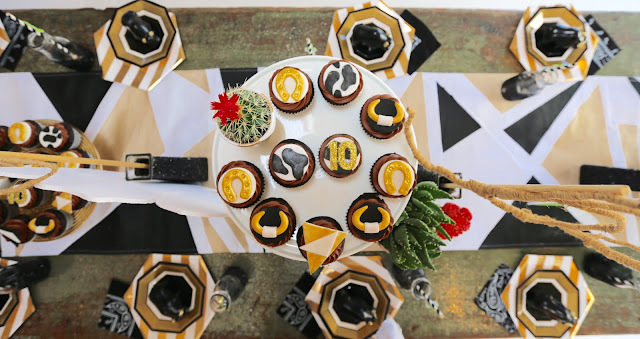 WE stuck with a very cool black, gold and white color scheme and worked from there. I hand painted the geometric table runners and pennant banners and made that gorgeous white and gold ribbon curtain (that we have used at least a 100 times since because it is so gorgeous!!) WE hung the Bull Skull on the window so he was peeking through the gorgeous curtain. LOVED IT! We went with fabrics tote bags -- per the Bday girls request an hand stenciled and glittered them with the bull image. I also did a lot of cactus painting on foam core and placed them around for good measure. I LOVE them as well. 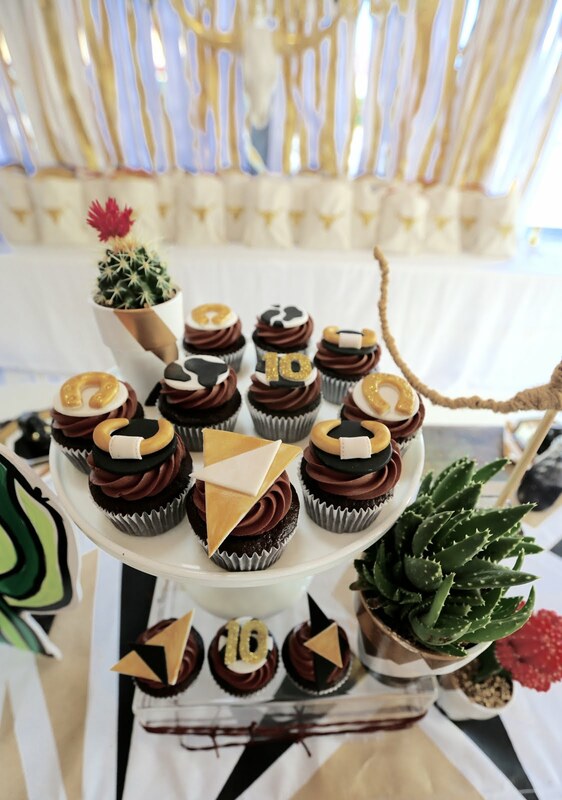 Julie from Blue Cupcake did the amazing and delicious cupcakes that matched perfectly -- as always. Sometimes I feel like we share a brain! 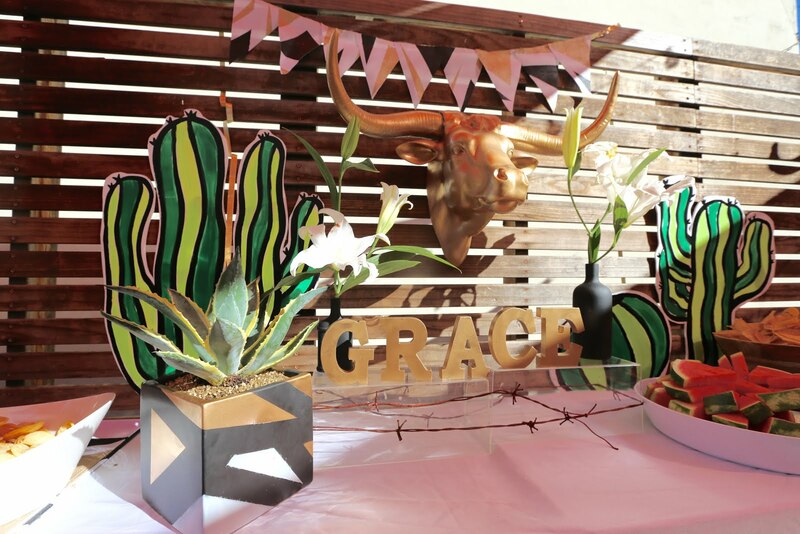 WE got the stress squeeze bulls and glittered their horns for plate display -- and also hand painted pots to hold some gorgeous succulents. I just love when we have a client who lets us do our thing. It's much more fun for us -- and I think the result is always a million times better when we let our creative juices run wild!! Hope you enjoy the pics!! !